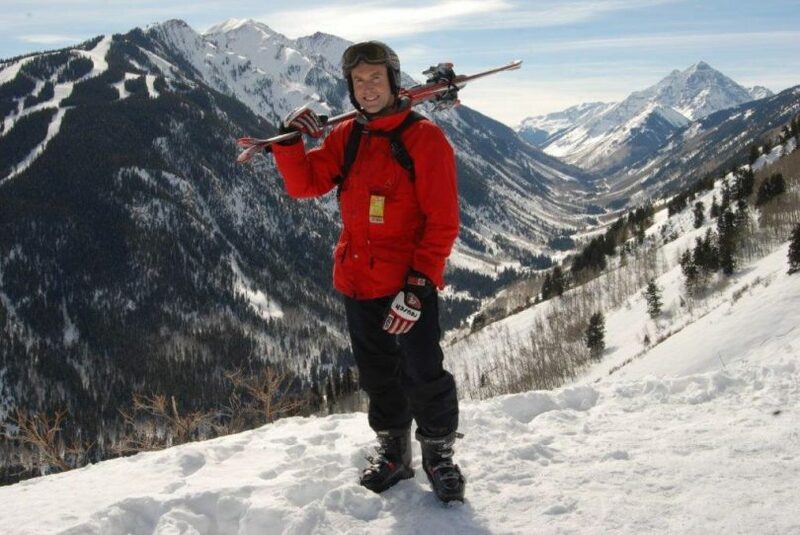 Aerobatics pilot, extreme skier, model, academic, systems architect, entrepreneur, consultant – these are just some of the professions and hobbies that have shaped Ken Gutterson’s approach to business over the last 30 years. Ken is the managing director of Canberra-based consulting firm Cordelta, which he co-founded in 2004. The company’s successes include multiple entries on BRW’s Great Places to Work list and a 60 percent increase in staff numbers in 2017, which Ken attributes in part to a healthy appetite for risk, passion and the ability to remain resilient during difficult times. To understand why, let’s go back to where Ken’s career began. He grew up in Lilli Pilli in Sydney in a household based on strict Methodist principles. As the second child in a family of five, he was fiercely independent. “I quickly realised that if I wanted to do something or get something, I would need to do it or get it done myself. I learned to be self-motivated from a young age,” he said. In Year 10, Ken went to New Zealand on an academic exchange that changed his life forever. “My school in New Zealand had no idea what to do with me, so I spent my time learning how to fish, ski and party – it was my first taste of having fun, and it never left me. I still believe everyone should have as much fun as possible, both in work and life,” he said. They put in place a gruelling set of extra-curricular classes in chemistry and mathematics during the week and French classes on Saturday mornings, laying the foundations for a strong work ethic and lifelong commitment to personal discipline. The effort was worth it. Ken finished Year 12 with a HSC score in the top five percent for New South Wales. His father promptly lined him up with a cadetship with PricewaterhouseCoopers, starting with a four-year degree in economics and law at Sydney University. 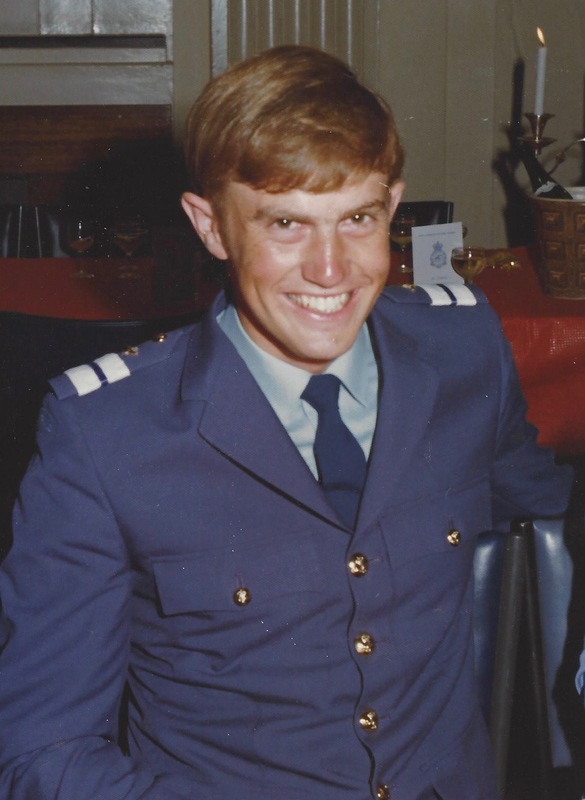 “Six weeks into my degree, and in the middle of studying Roe v Wade [the landmark case that led to the legalisation of abortion], I decided this wasn’t for me and dropped out to chase my dream of becoming an Air Force pilot,” Ken stated. Disappointed but not deterred, Ken enrolled in a science degree majoring in pure physics at the University of New South Wales. At the end of his first year, he reapplied for the Air Force and was accepted on the condition that he complete three more years of study at the Air Force Academy at Point Cook in Melbourne. 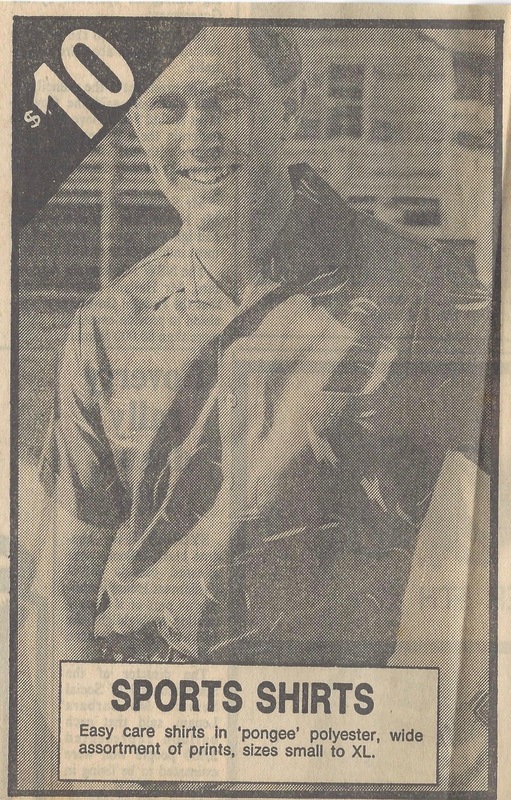 Ken’s first year at the Academy in 1976. Ken completed his science degree at the academy, as well as a graduate diploma in military aviation. He also found that he was particularly suited to the behavioural sciences, in which he eventually became dux of the academy. “Finally, in 1979, they [the Air Force] let me fly planes,” Ken said. He completed his initial flight training at Point Cook and then moved to Pearce in Western Australia for advanced flight training. 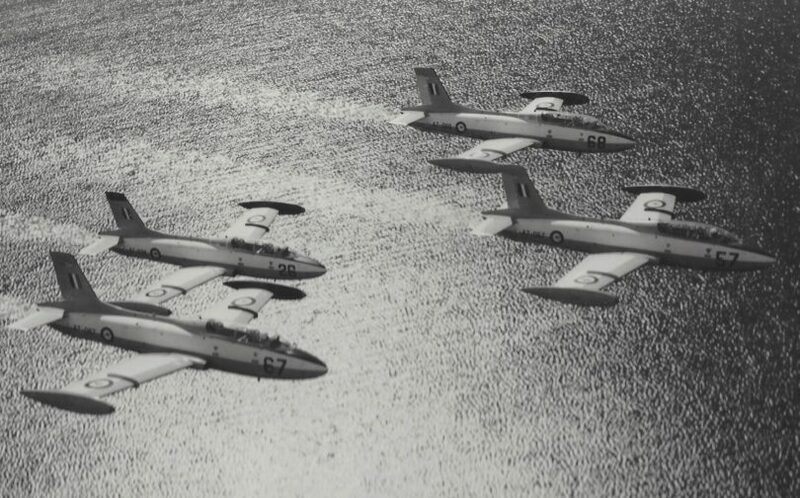 Ken flying Macchi jets in 1979. “I found that I was pretty good at aerobatics, but not that good at the more demanding aspects of military flying. Unfortunately, that led to my removal from the course three weeks before graduation,” Ken said. The decision came as a shock. Flying was all Ken wanted to do. Ken was eventually moved back to Melbourne, where he worked as an air traffic controller before heading down to East Sale in Gippsland to be trained as a navigator. Unfortunately, that also failed, so he tried to leave the Air Force and pursue a career as a commercial pilot. “That didn’t work, as the Air Force pointed out that I had an obligation to remain with them for another four years, due to the investment they had made in my training,” Ken remembered. The Air Force then offered him a role in business management, which he accepted and moved to Canberra as a logistics IT manager. But it was a desk-based role and Ken started to miss the excitement he had in the previous phase of his career. He also did a bit of part-time work as a male model, which pushed him well outside of his comfort zone. “I walked into Wanda’s Modelling Agency in Lonsdale Street, and they said, ‘You’re a male – you’re in!” he laughed. Everything changed in 1983, when Ken was sent to Darwin as the senior stores officer for the Air Force base. “It was a bit of an adjustment”, Ken said, “but I eventually got used to the heat, the humidity and a much more relaxed lifestyle”. He was keen for his girlfriend, Jacque, to join him, so he rang her up and proposed. They got married in 1984 and she moved up to live with him in Darwin. Ken remained a keen pilot and set up a charter business flying friends and tourists into the Kakadu National Park, well before it became a major tourist destination. But he lost some of his enthusiasm for flying when a few of his friends died in flying accidents, some of whom have never been found. He asked for an overseas posting and was offered an opportunity to complete a master’s degree in systems and logistics at Wright-Patterson Airforce Base in the United States. He was nervous at first, but 18 months later he graduated with honours, coming runner-up to the dux of the academy. “That led to an offer to complete a doctorate at Stanford, but the Air Force said it was time to come back to Australia and get a real job,” Ken said. By that time the family had grown to three, with their first daughter, Chelsea, born in the United States. They returned to Melbourne in 1987, where Ken was responsible for IT support within the Air Force repair and overhaul division. He identified many opportunities for improvement and set to work replacing and rebuilding systems using the skills and knowledge he had acquired overseas. “I helped them understand the concept of client-server architecture and graphical interfaces through a new software called ‘Windows’,” Ken said. After four busy but rewarding years in systems development, Ken and his family transferred back to Canberra, where Ken started work as the Air Force advisor to the Defence Computing Bureau in Tuggeranong. It wasn’t long before he started receiving calls from consulting companies who had found out about his work in Melbourne and were keen to offer him a job. 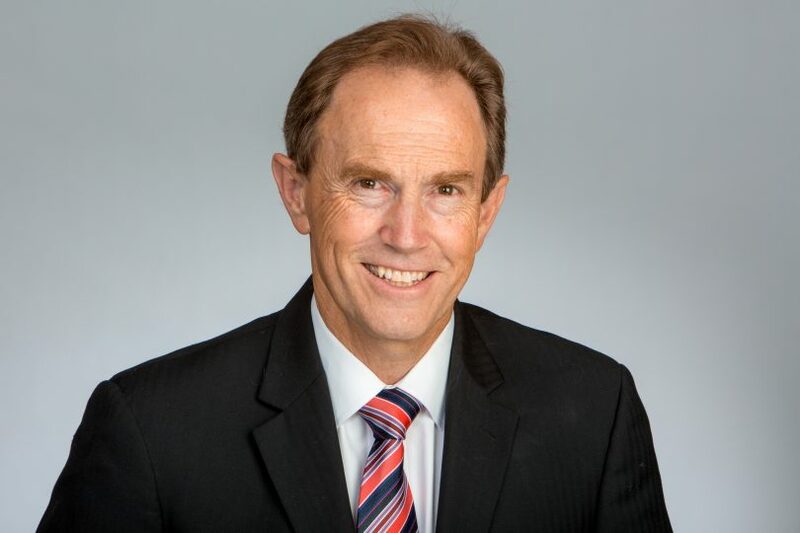 In 1994 he accepted an offer from SMS Consulting Group to launch its business in Canberra. Within five years, the Canberra office had 70 staff and a turnover of $16 million. Ken attributed this success to a niche he found, to work as a friend to Government clients in their development of strategy, execution of projects and management of vendors. In 2000, SMS did a deal with Sausage Software to get listed on the ASX. Ken left SMS and co-founded Cordelta in March 2004 with a small group of friends and business associates. “We had some challenges in the early days, but we held firm, worked hard and eventually came through”. Ken says this is what led to their current mission, which is to help people succeed. That philosophy also led to success for Cordelta, which, by 2012, had 120 permanent employees, 80 contractors and a turnover of almost $30 million. Ken was also very conscious of the unique opportunity he had been given by the Canberra community and decided to give something back by participating in the Vinnies CEO Sleepout, raising funds for the homeless. That evolved into an ongoing program of support for local and national charities, as well as community groups and sporting organisations. Two years later, the company agreed to request for a partial management buyout by several executives who wanted to pursue a different business model. “That left us with less than 30 percent of the business, but we have doubled in size since then and now have a much more united company that is more profitable than ever,” Ken stated. At 61, Ken intends to keep on working for another three or four years – but says he plans to stay involved with the business even after he retires. Ken is particularly pleased by the number of young people who have joined the company, some of whom (including Ken Hendrie and Krishan Jogia, who run Cordelta’s security and business architecture practices respectively) are already in senior leadership positions. He has full confidence in his team and their ability to keep growing the company on the principles on which it is based. Looking back at his career, Ken said that most of his achievements and adventures have been the result of planning, preparation and hard work. Original Article published by Tim Benson on the RiotACT.